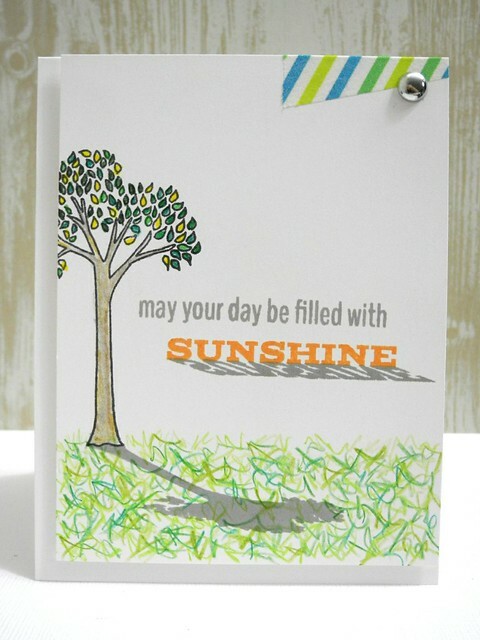 Just Jingle: May Your Day Be Filled With Sunshine! It is a beautiful day here in Massachusetts today! Sunny and not too cool and not too warm! I just love days like this! The Altenew Challenge sort of gives that feeling of that kind of day, too, which is why I felt like today was the perfect day to show off the card I created inspired by this challenge! I loved the woodgrain along with the bright yellows and greens with lots of white. It just has a sunny feel to it! I used that as the inspiration for my card. I super love these shadow stamps! They are just so neat! I created the grass using Spectrum Noir colored pencils in a variety of green tones. 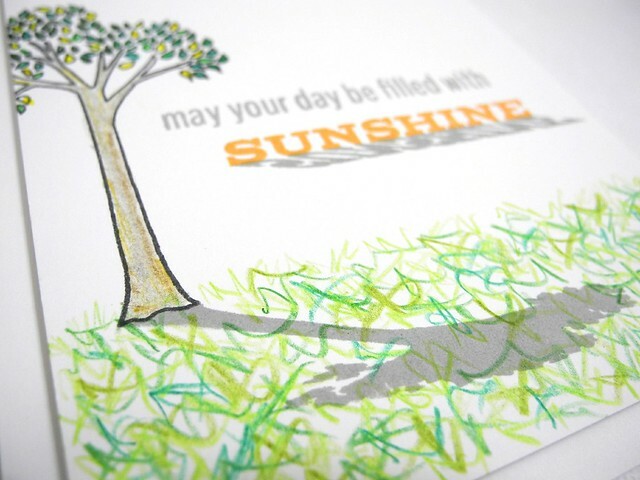 I hope your day is, indeed, filled with sunshine! How cool are those shadow stamps?!?! and I really love how you made the grass, so fun! cool card all the way around! love the colors too! The new Altenew shadow stamps are so cool! Absolutely love how you drew the grass! I love the grass and the shadow of the tree on it, looks so realistic! Thanks so much for playing along! Oh my! I love the way you created the grass using colored pencils! So clever!!! Thanks so much for playing along with us at CASology. Love the shadows - they really make the card look sunny!So glad you joined us at CASology this week! so cute love the shadow that you made!!! love this card.. that shadow is amazing.. great designing.